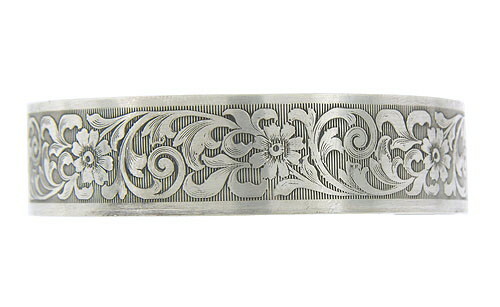 Intricate engraved flowers and curling foliage dance across the surface of this spectacular sterling silver bangle. Repeating vertical lines add rythm to the romantic desing. 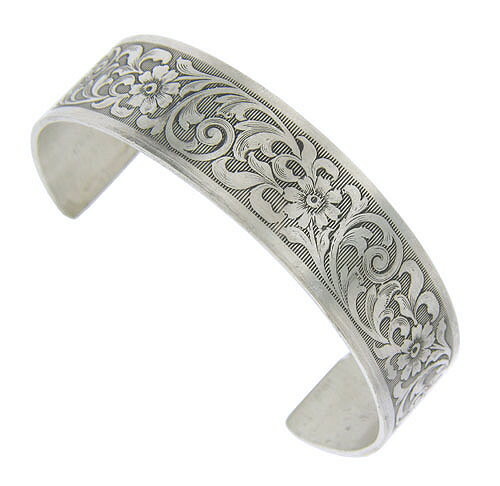 The antique style bracelet measures approx. 5 1/2" interior, 5/8" wide.